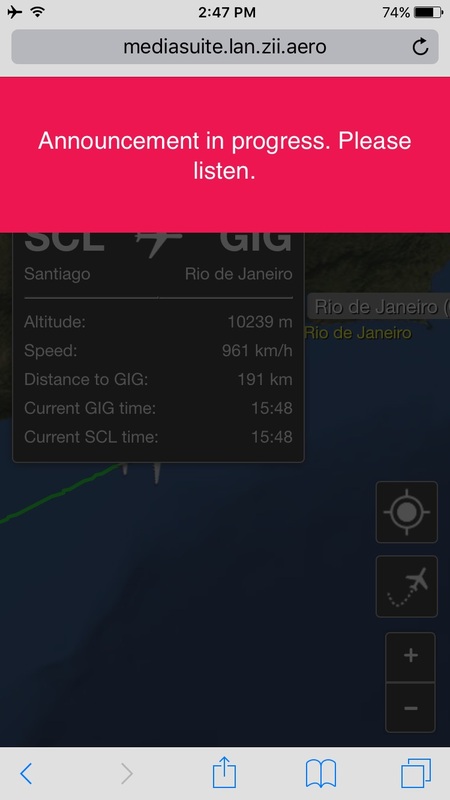 LATAM's flight from Santiago de Chile to Rio | No Mas Coach! Back in 2012 the merger between LAN and TAM completed, but just like any good merger, these things take time. American and USAirways completed their merger and I still see USAirways planes flying around. 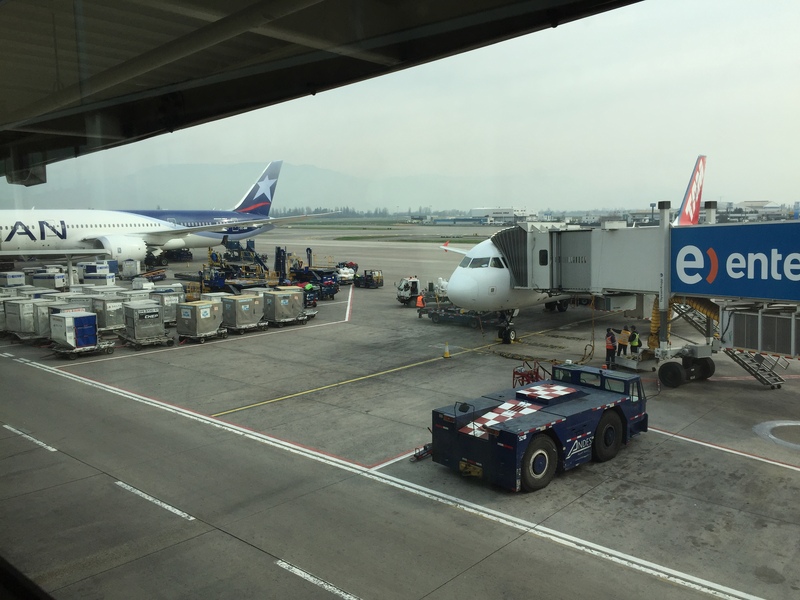 Since flights to Rio were really expensive, and the new LATAM is part of the OneWorld alliance, we decided that the best way to get from Santiago to Rio would be redeeming British Airways avios at a cost of 10,000 each to fly in coach. At just under 3 hours and change, it would be a quick hop over across the continent, and 3 hours in coach isn’t too bad… right? I have to admit that I’m a bit surprised they didn’t offer any business class on the flight. 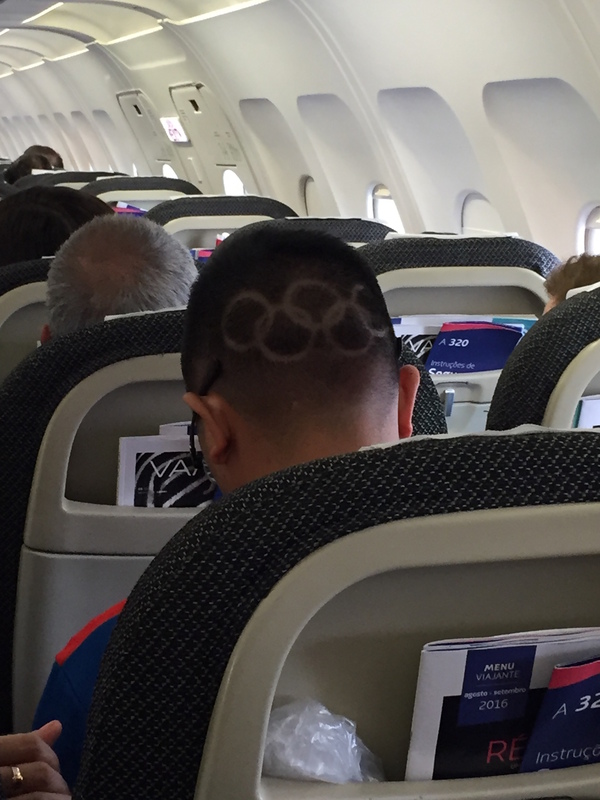 Santiago was LAN’s hub and this flight, especially during the Olympics, I would have imagined it would have commanded at least a FEW seats sold in business. Then again, when you’re charging $500 one way in coach, I suppose who cares about business class fares anyway, right? We left the sanctity of the Admirals club and headed to our gate. 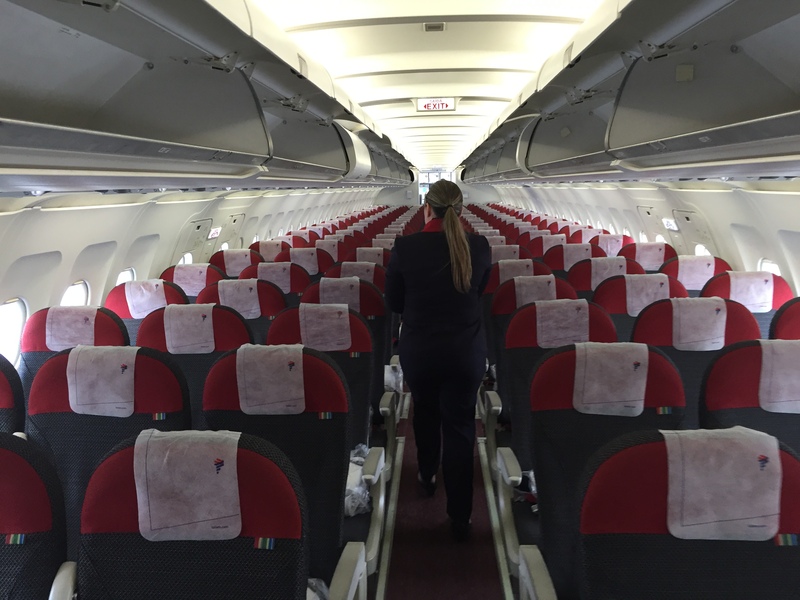 This trip we got to fly on a TAM A320, a staple of their fleet. 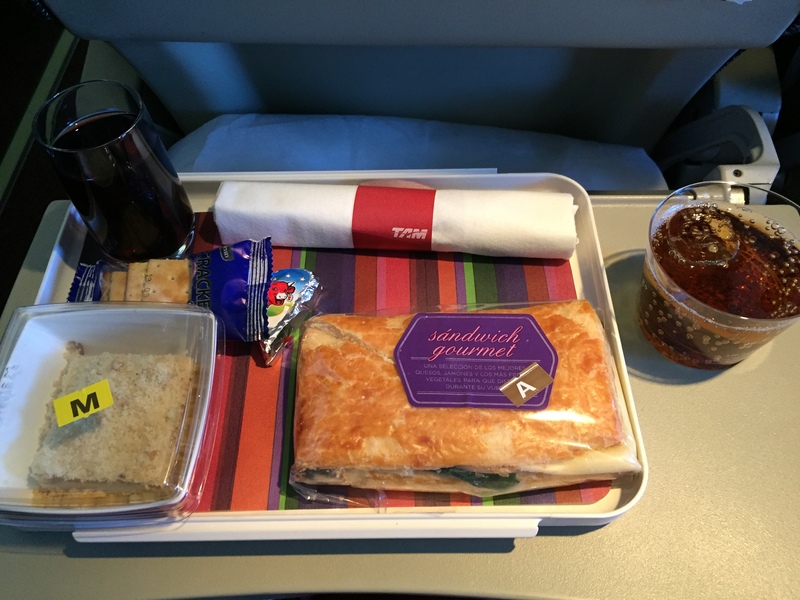 There were no business class seats, as it was marketed as an economy only flight. Luckily we were able to get three seats together, as the plane was full of tourists, I believe, doing the same thing that we were. Either it’s been a while since I’ve been seated in coach, or they build these things for people under 6 foot 2 (or perhaps both?) 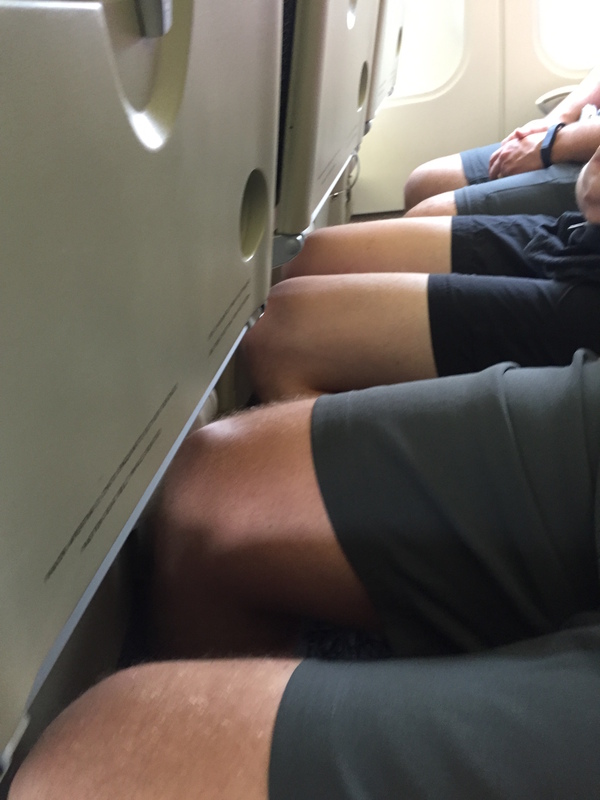 because the seats were TIGHT. 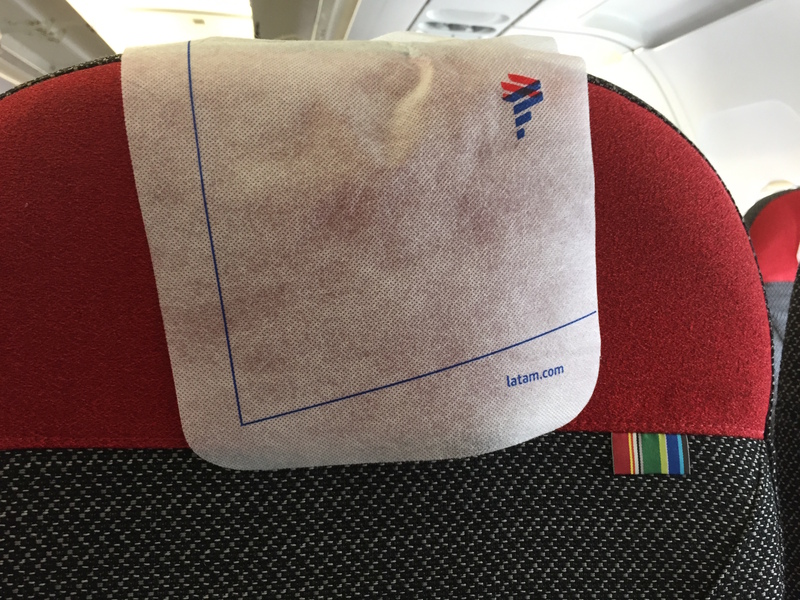 It may have said TAM on the outside, but it was all LATAM on the inside. Yea so… almost. 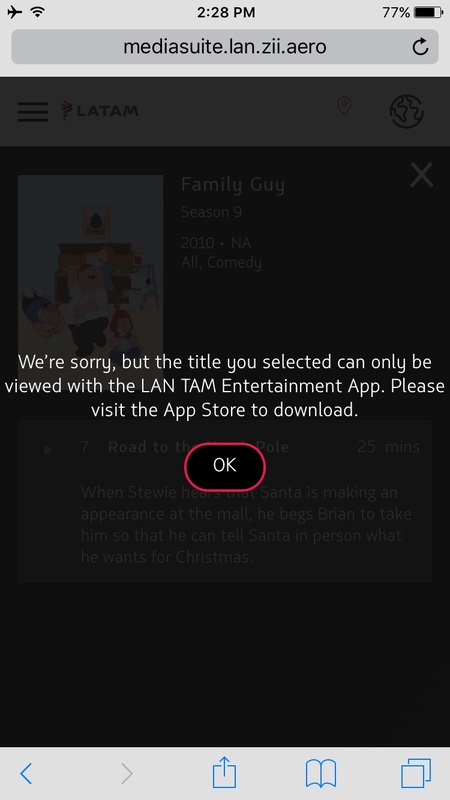 I didn’t know you needed to have the LATAM app to be able to watch it, but I suppose now you get to learn from our mistake! In what was an unexpected surprise, as you’re using the WiFi, it will shut off as an in flight announcement is taking place. 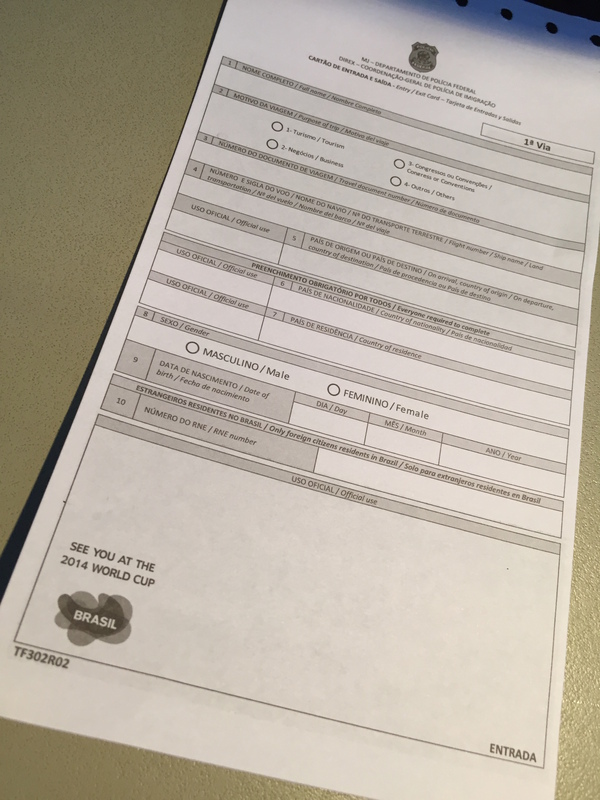 We got to the airport with our immigration form to enter Brazil. Hey, I’m all for recycling and reusing, but did you check out the bottom left of this form? I mean after all, who really pays attention to these forms anyway, right? 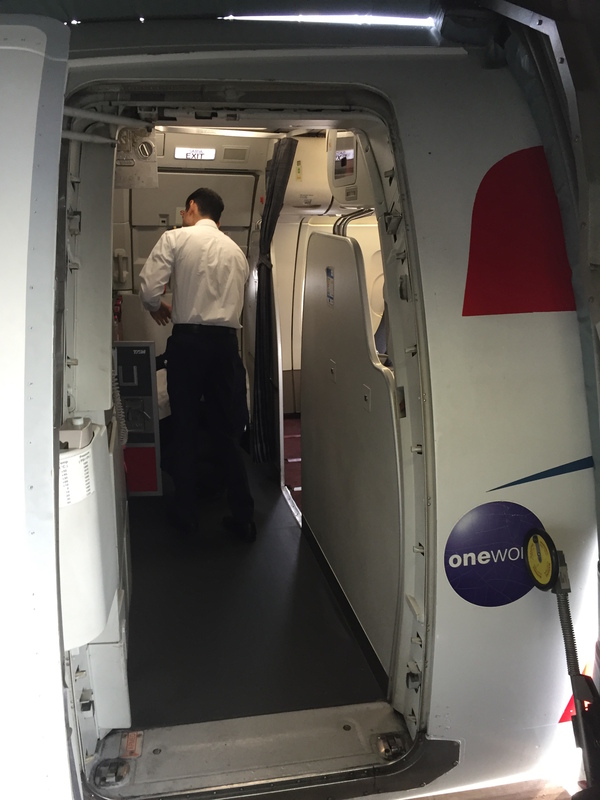 The flight was quick, efficient, safe, and overall as comfortable as a coach flight could be. We cleared immigration, cleared customs, and we were on our way to our lodging in Rio. Stay tuned for the opening ceremonies, some sights around Rio, and the events that we attended! 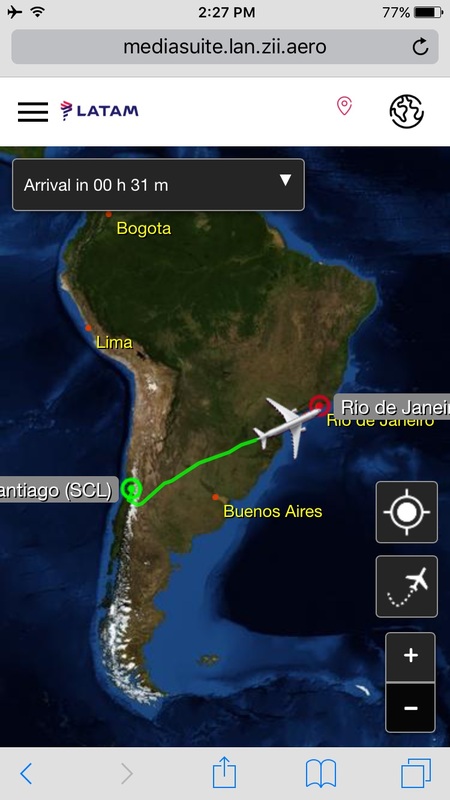 I took the same flight last month but in the other direction, from Rio do Santiago on a LA flight. The service was good too with good food and LATAM Entertainment. The only difference was that my flight had a business class with a few seats. I wonder if it was a Lan/Tam difference. That’s why you had business maybe?